$60.00 | 50 ml / 1.7 fl. oz. 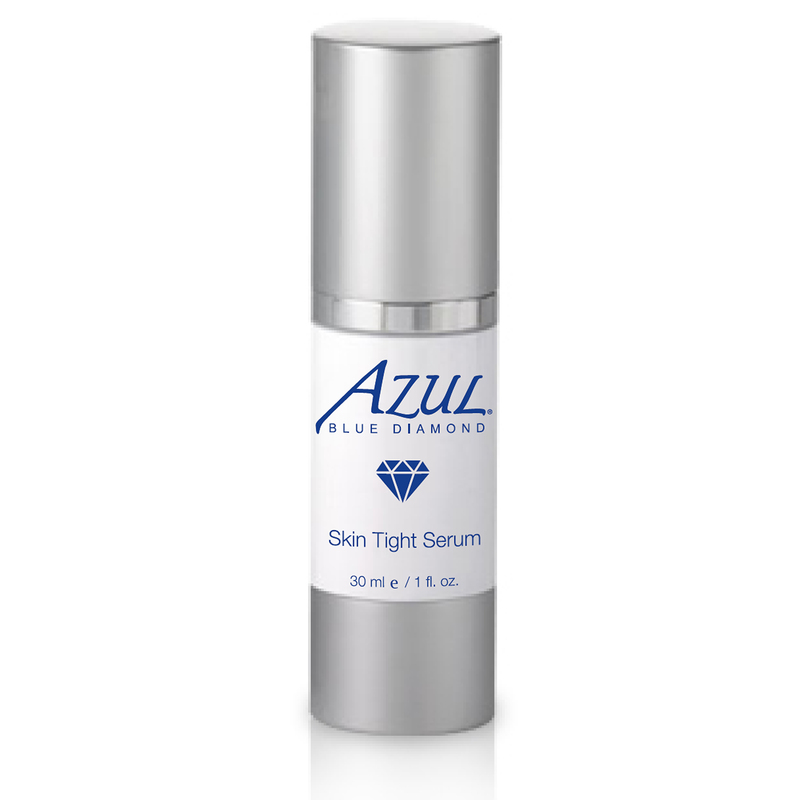 Azul’s most luxurious, anti-aging moisturizer packed with active ingredients to treat age spots, eliminate wrinkles caused by dehydration and soften deeper wrinkles. 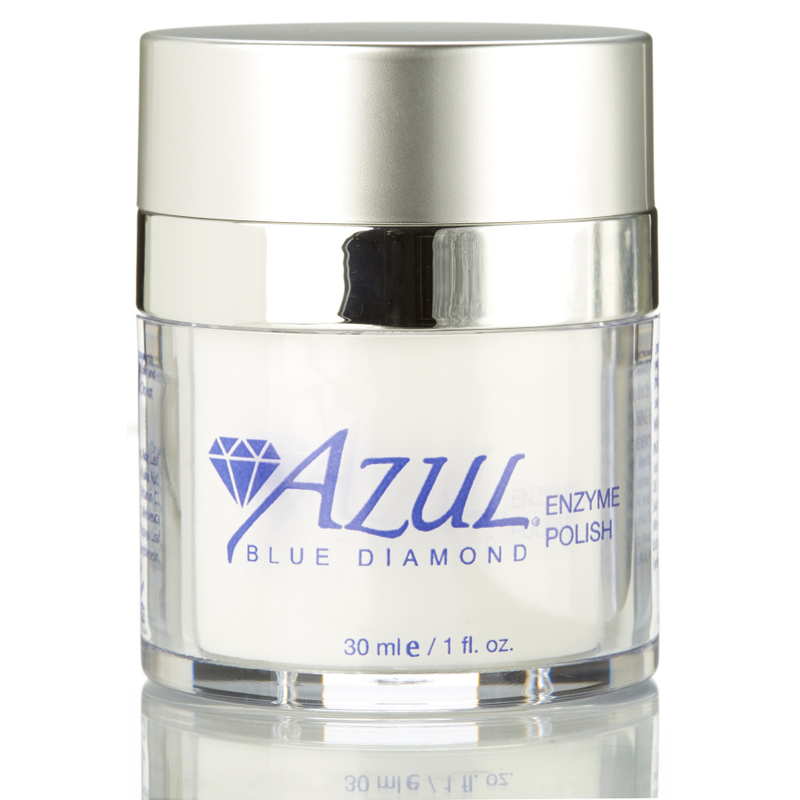 Containing precious rich emollients including plum seed oil, raspberry seed oil, and olive oil. 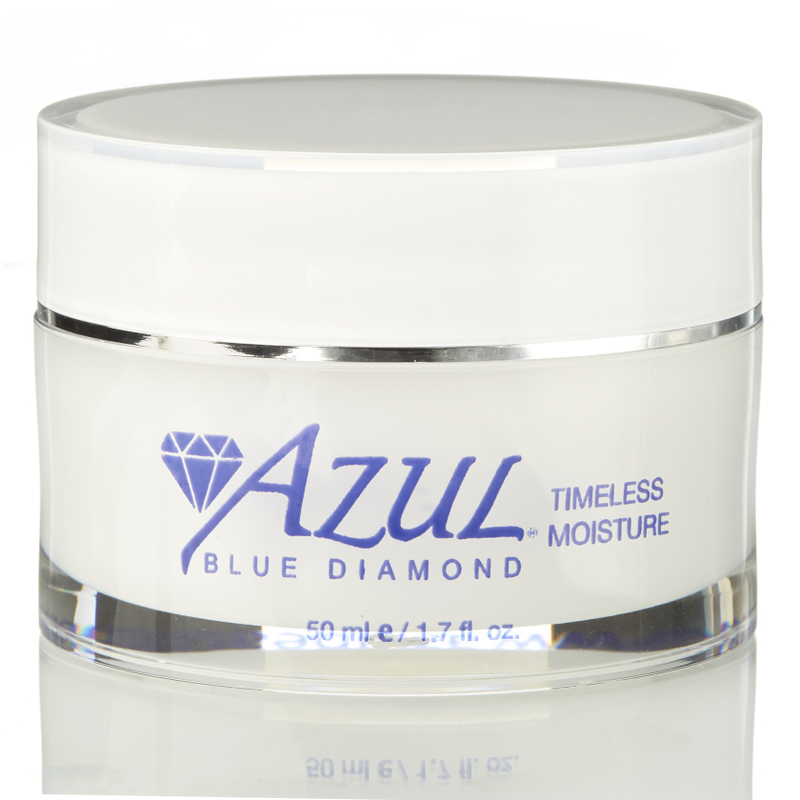 Timeless moisturizer hydrates and nourishes without feeling oily. Suitable for dry or mature skin. Aqua (water), caprylic/capric triglyceride, teprenone, plum seed oil, isopropyl myristate, cetearyl alcohol, 1,3 propanediol, ceteareth-20, squalane, glyceryl stearate, peg-100 stearate, raspberry seed oil, octyldodecanol, beeswax, ethylhexylglycerin, caprylyl glycol, tocopherol, ascorbyl palmitate, citric acid, ascorbic acid, disodium edta. Teprenone – facilitates cells and corrects at the cellular level, improves tissue quality and extends cell life span. 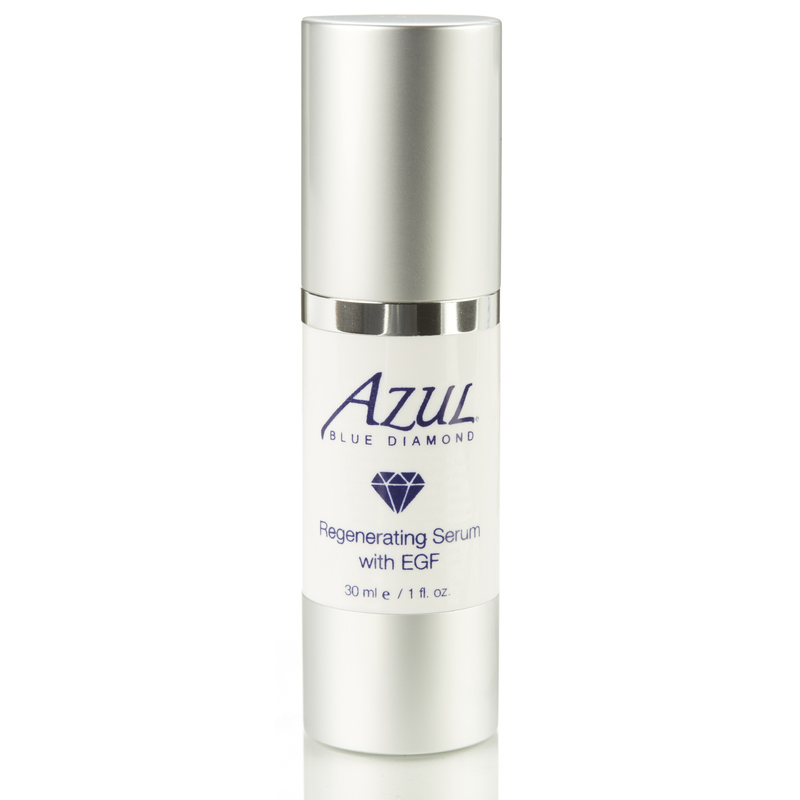 A clinical study determined that there are significant visible and structural improvements to the skin and signs of aging. There was a 35% improvement in firmness, 45% improvement in tone, and a 56% reduction in pigment spots. Lines and wrinkles were significantly reduced. Because teprenone works at the DNA level, the results are not superficial as with some other anti-aging ingredients, which just fight wrinkles and do nothing to actually restore youthful appearance. Squalene – derived from olives; moisturizes, enhances skin’s natural barrier function, protects, boosts skin’s ability to retain moisture. Plum seed oil – natural emollient, contains vitamin C (antioxidant). Raspberry Seed oil – Antioxidant, contains high levels of fatty acids, contains potent vitamin E, provides emolliency, soothes inflammation, and provides some UV protection. How do I use Timeless Moisture? Apply over serums as needed. Use once or twice daily as needed for moisture. Timeless Moisture is the best moisturizer I have ever used. A little goes a long way! I love the fact that this product is a medical strength product. I like Timeless Moisture more than any other moisturizer I have ever used. It’s so smooth and creamy and makes my skin feel like it’s had a nice tall glass of water. This is the best moisturizer I have found for fine lines that does not make me feel greasy. My makeup goes on smooth and easy. Other products I have used make my skin break out. So glad I found Timeless Moisture. It is a must in my skincare routine!